Precision in BIM quantity takeoff directly impacts the scheduling and cost estimation of the construction process. 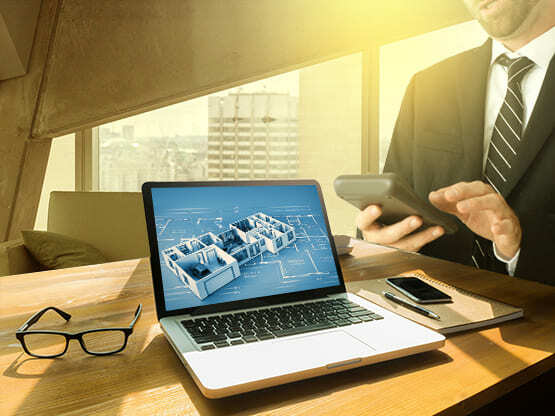 eLogicTech understands this and offers to assist contractors, architects, and real estate firms with expert quantity survey and quantity estimation service. The quantity takeoff service helps in integrating quantity details with BIM operations such as milestone mapping, cost estimation, etc. Comprehensive cost estimation allows better project coordination among contractors/sub-contractors/fabricators, and hassle-free handover as well. The quantity takeoff reports aligned with the cost details assist engineers, contractors, and investors get the real-time project coordinates for informed decisions. eLogicTech's experienced team go an extra mile to segregate materials, types, and cost for more control over construction quality, cost and schedule. eLogicTech has close to a decade long experience in handling construction projects across geographies. With a clear understanding of project type, magnitude, weather, and material supply circumstances, eLogicTech's team of estimators provide the most accurate BIM quantity takeoff data. With proactive communication, transparent pricing models, eLogicTech's team thrives to achieve its objective of quality services within the agreed timelines. Contact us for any quantity survey or material takeoff requirements and one of our specialists will reach you at the earliest.